When I researched directions I couldn’t find much information on how to get to Berastagi from Tuk Tuk, so here’s a quick post on how to do it. Get a boat from Tuk Tuk to Parapat on main land. Cost 1000. In Parapat get on a local bus and ask to be dropped off by the bus terminal (say you are going to Berastagi). Cost 3000. 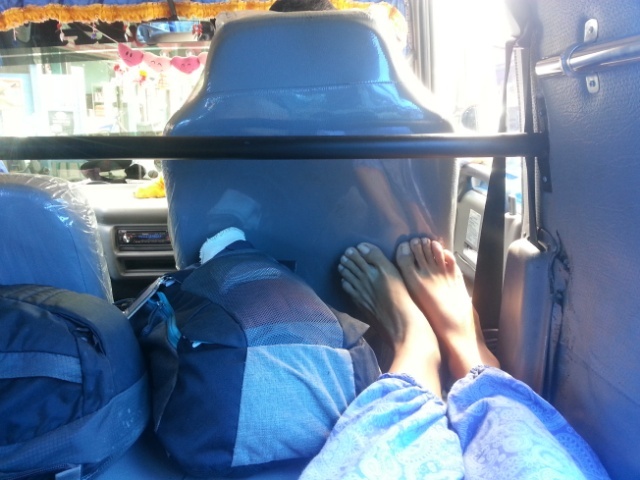 Get a bus from Parapat to Siantar. Cost 10000. We got dropped off at the main bus station (it looks like a market but there are many minivans parked around). The moment we got off the bus we were told were to go next. Get a minivan from Siantar to Kabanjahe. Cost 25000. The bus company we used was called…hmmm it started with S and their minivans were black and yellow. When you get dropped of in Kabanjahe you need to get a local taxi to Berastagi. Cost 5000. The taxi pulled out just after we got off the bus, so it was all pretty easy. We left Tuk Tuk on the boat just after 9am and arrived in Berastagi around 3.30pm. 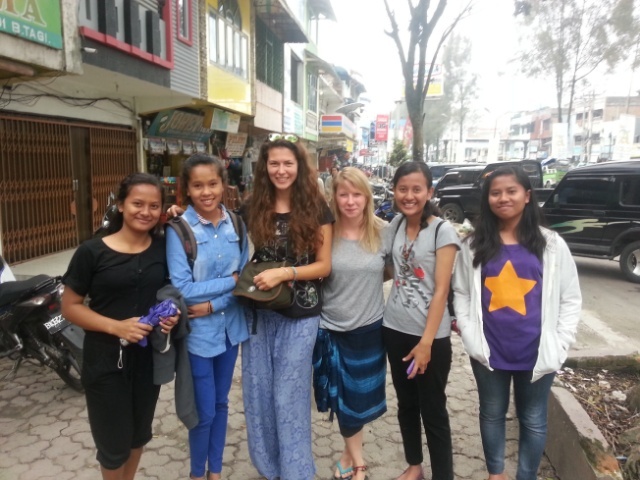 Surprisingly everything went smoothly and the rest of the day was spent walking around the town and chatting to local girls who wanted to improve their English.